Our solar system now is tied for most number of planets around a single star, with the recent discovery of an eighth planet circling a distant star. The planet was found using machine learning from Google and data from NASA’s Kepler Space Telescope. "I have FOMO for the future”, says Sam Lessin. That’s why his startup, Fin, is working backwards from a far-off tech utopia. One day, computers with some human help will answer our every beck and call. Today, Lessin is teaming them up. As early as 2018, we can expect to see truly autonomous weaponised artificial intelligence that delivers its blows slowly, stealthily and virtually without trace. And 2018 will be the year of the machine-on-machine attack. When was the last time you heard the story of a great innovation begin with, “I built a killer spreadsheet”? Useful data comes in the form of stories—not statistics. Over the past five years, engineers and poultry scientists at The University of Georgia and Georgia Institute of Technology have been collaborating to help farmers make better use of the information latent in chicken chatter. Natural Language Processing tools were applied to the Satoshi Nakamoto’s Bitcoin paper to compare it to numerous cryptocurrency-related papers in an attempt to identify the true identity of the unknown Satoshi Nakamoto. In this article, Apple gives an overview of a system architecture that learns from a user population using the differential privacy framework. 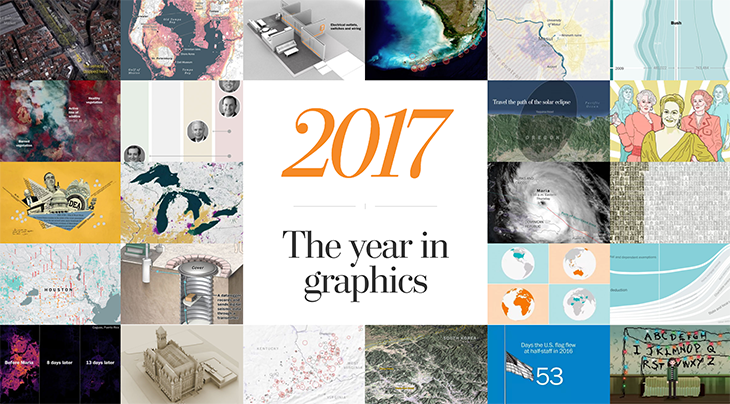 Throughout a year of tumult and transformation, the Washington Post’s graphics team has helped readers understand scientific advances, disasters manmade and natural, the substance and style of President Trump’s first year, and much more. This year, AI programs triumphed over the world’s best human players in Go and Poker. While these milestones showed how far AI has come, many remain sceptical about the technology’s maturity — especially with regard to a number of fails. Nearly half of women say they have experienced some form of sexual harassment at work at least once in their careers. But there has been little research about those responsible. In a new survey, men were asked about their behavior at work.